Featuring data from Explorer Charts for the Bahamas. Eleuthera Island, Bahamas to the Dominican Republic, including the Bahamian islands of Great Exuma, Great Inagua, Mayaguana, and many others. 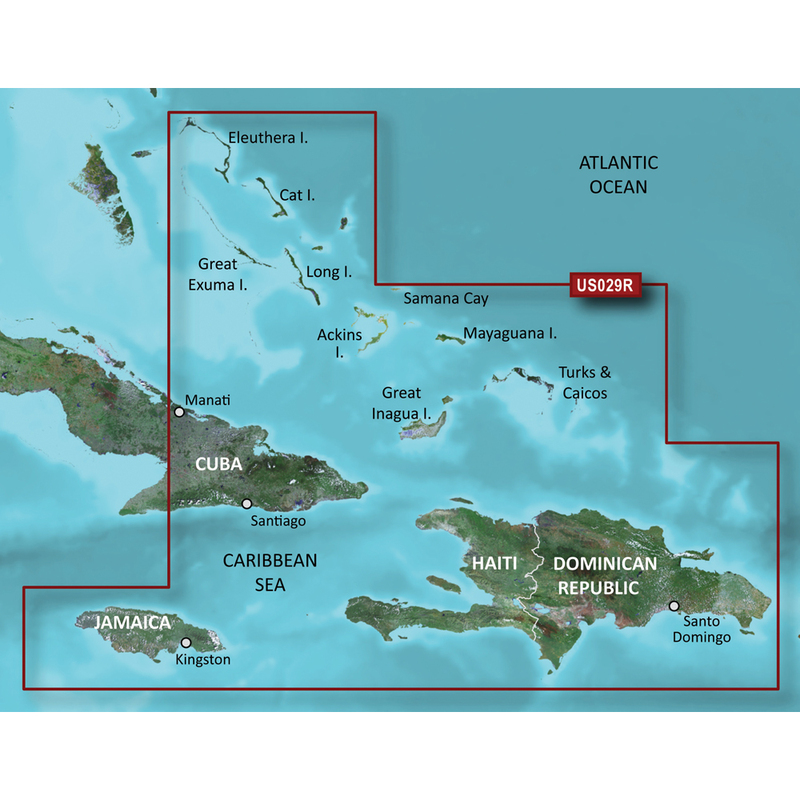 Also includes detailed coverage of the Jamaican, Haitian, and Dominican coasts in their entirety, the easternmost quarter of Cuba, and the Turks and Caicos Islands.